Director Danny Boyle talks to Mark Kermode about his new film Trance, London 2012's afterglow and gives the inside story on his wildly diverse films. 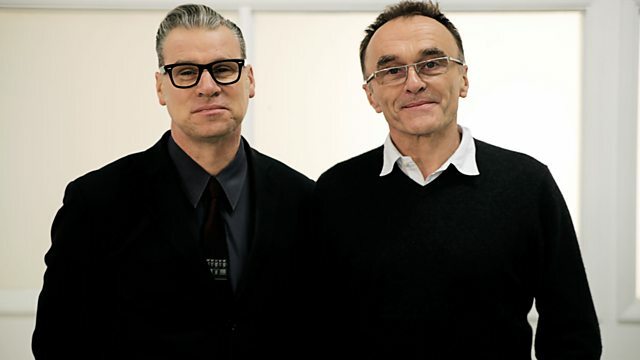 Oscar winning director Danny Boyle talks to Mark Kermode about his new film Trance, London 2012's afterglow and the highs and lows of an extraordinary film-making career. As an explosive visual stylist with an enduring punk attitude, Danny Boyle has reinvented British cinema several times over, proving we can do populist, anarchic, violent and disturbing as well as American cinema. From epochal moments like Trainspotting to low-budget horror 28 Days Later and the brutal romance of Slumdog Millionaire, Boyle inhabits a uniquely kinetic style that has a poetic and surreal side too. All of these qualities were on spectacular display at last summer's Olympic opening ceremony, a creative triumph that brought Danny's name to a much wider audience. In this programme, Danny gives Mark the inside story on his wildly diverse films and also reveals how his working class, left-wing upbringing helped shape his vision for London 2012. How does a low budget movie make it onto the big screen? How exactly does a small, independent film make it onto the cinema screen?